Blogging is your online journal. When you blog, you need to keeps updating as this will make your viewers to stay updated daily. Many bloggers, increasing traffic to their blogs is not the only goal. 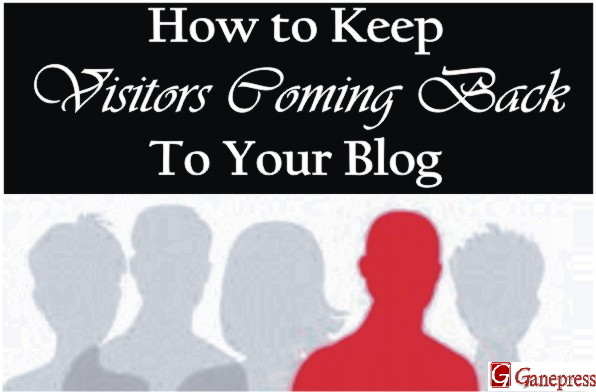 Most people that blog want to keep their visitors coming back for more and that is the motive of some of the bloggers. How do we keep visitors coming back to your blog? Following the guidelines below will help to know the ways to keep visitors coming to your blog site. 1. Blogging Is A Relatively Phenomenon. Blogging is your online journal and personal diary. Some choose to blogs and then keep it personal not to share their ideas and thoughts with others. This is likely more to be online diary. While other blog to share their ideas and information they known to everyone, so they make their blog public to others and such a blog can easily be located. The easiest way to keep visitors coming back to your blog site is to update your blog on a regular basis. Readers will stay loyal to the blogs that are daily updated. Some bloggers even updated their blogs several times a day. Readers will tend to lose interest in your blogs if they have to wait several days before you write new post or update your blog. You need to be loyal to your readers, and your readers will be loyal to your blog by coming back for more. More so, there are literally thousands of blogs available on the Internet. If your blog is not always update on a regular basis, you will loose your visitors to another blog site. More fun way to update your blog and keep your readers more interesting in your blog is to include something simple like fun that will make them enjoy reading. You can use word like fun or things like jokes, quiz or free e-books to download, or maybe a link to a humorous story on your site or to another website. You might also try including a game or polls for your readers to enjoy on a regular basis. All this depends on your decision. It will make your visitors to enjoy reading your blogs and keep coming back to view your site for more. Blogging is not a way of showing how good you can speak or writes. The most interesting in blogs are not written using formal grammar rules. To be candid, using the formal tone can be a little boring, and people don’t want to read through a bunch of “hoity-toity” text. If you want your blog to be more popular and successful, consider writing in a more casual tone. Think of the writing your post as being in a conversation with a friend. Use of a casual tone makes your readers to find your post more interesting. You must write exactly the way you would talk, not the way you are supposed to talk. Using slang or other words that may not be considered “proper” is encouraged. This is a great way for your blog to reach a wide variety of audience. Using of humor and other personality characteristics in your writing will also make people to keep coming back to read more of your newest post on your blog site. Blogger tend to lose customers when it takes several days to write new post. Writing a new post daily will make your readers to constantly coming to your blog site to know the latest information you have for them. Some of them might have been enjoying reading your blog, but when they wait much longer before you write new post, they begin to lose interest in your blog. To encourage your readers to be coming back to your blog, you need to post regularly as this will make them enjoying coming for more. Participating in web communities like forums discussion such as warriorforum, nairaland, dailyarticles, constantcontent to mention a few and mentioning your blog links whenever possible will help your readers to always come back to your blog site. When you participate in some of these web forums, or you make comments in the forum that your readers marvel with your blog link will attract the attention of people to visit your blog. You can gain new readers doing this. You can also be loyal to the blogs of other writers, leave nice comment on their site and, if possible you can ask them to visit your site. If you have mutual interests as a reader on other site, then other readers will have same interest in reading and visiting your blog. There are some comment boxes that request for name, email address or website; you can even share your blog links with your comment there. The readers on the other website who view your comments on another blog and your links will definitely visit your blog. Ability to respond to readers comments when they give feedback on your post or response to their needs encourages them to come back for more. When your readers know that their voice is being heard, they will feel honor because you have show them appreciation for reading your blog. This is one of the ways to retain your readers and keep them coming to your visit blog. If you’re someone that offers multiple posts on your blog, ensure to make a link to related post and to other relevant post on your blog. This makes your reader to stay enjoying reading more of your post. In your posts, you can mention some of those related posts or refers a link to some of them in your blog. You can also place popular posts on your blog website for readers to see more of your other posts. 8. Understand Who Reads Your Blogs. This is another great way to keep readers coming back for more and stay longer on your site. 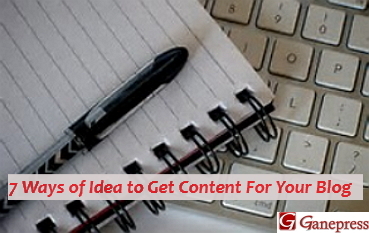 When you understand who reads your blog, you will know how to write content that is directed towards them. This does not mean that you should focus in writing one particular subject. You need to write posts that will be directed to your reader needs to keep them coming back for more. Besides, a good title of your post will also attract them to always checking your blog for new post. For instant, if you are someone who write story about your life, your loyal readers may not appreciate if you write story with uninteresting topics, or using a lot of foul language in writing it. And, if you write humor, do not swamp your readers down with sorrowful woes and tales. Understand that your readers will be more interested in the things that attracted them to your site at first. This is what you should be your interested in writing on your blogs. You can gain a better understanding of your readers’ attention by given ways for comments and encouraging your readers to contact you for any more information about what they feel, or read about your post by email. If you have entered your blog on a search engine, including a keyword will also gain more readerships to your blog. When you include some certain keywords on your blog search engine, those keywords that are point to your blog will come up in a search engine. You can also including categories that indicate some specific title or label in your blog post. It helps increases more traffic to your blog. Blogging is increasing every day and so many companies are into blogs to keep customers coming to their business. If you want to make your blog to stand out against thousands of other blogs, keep your readers’ interests by updating your blogs, using a casual tone, post regularly, participating in web forums, respond to comments; make a links to related post, understand your readers and including good keywords. All these eight above will keep your visitors coming back to your blog to enjoy reading more of your posts. Hope you find this post interesting! Feel free to leave your comments and share with your friend through social button. Your feedback is highly welcome! We Love Comment And We Want to Hear From You. Kindly, Leave Your Comment in The Comment Box Without Entering The Verification Text Below. Do You Want to Be Notified When I Reply Your comment? If You Have Any Information Different From This Post, Feel Free To Contact Through Contact Form. To start your Oriflame business, you need to know the products categories available in Oriflame Nigeria and you can as well order those products online once you’ve join them. Like have said, apart from travel and other benefit, all products come with 23% discounts which also return to you, and you as well have your immediate profit from your direct sales. If you are information/internet marketer, or selling online and you want to expose your business to million, you need a social media to promote your business. Professionally, designing a website 24/7 to market your business is good, but if you don’t create awareness to direct people to your website there won’t be any sales. 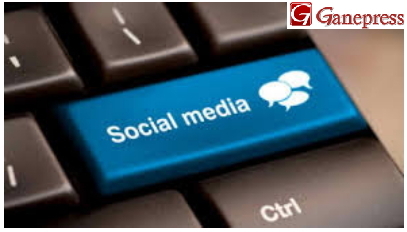 Therefore, you need a social media to direct traffic to your site and promote your business even without a website. Today, social media has been the best marketing tools to widely promote your business, reaching to millions of people out there. Many companies use these social media to increases their sales daily. Facebook has a larger numbers of videos, pictures that has been posted by millions of users worldwide. Everyone love to watch posted videos and save to download them; and that probably to reduce the work load of their data usage. I was with someone who was watching videos on Facebook and having problem of downloading some of these videos. 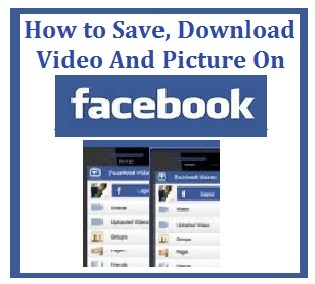 Then, I discovered that there are some few Facebook users who were still having same problem of how to downloading videos from their Facebook account to save them into phone gallery for use. The presence of social media platform like Facebook, Twitter, LinkedIn, Instagram, and other social network has made businesses goes around the world and successful today. Some of these platforms are the success behind many entrepreneurs in helping bring their businesses in reaching the world. 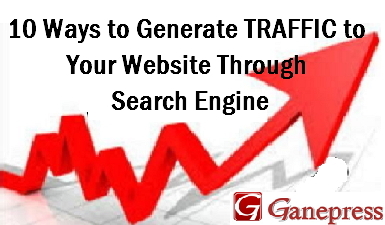 Everyone wants to generate traffic one way on the other to the blog site. Every blogger and website owner want his or her blogs post to be find on search engine, hence increases more visitors to their blog. Of course, there are some other methods to generate traffic but all depends on the marketing campaign you use to drive visitors to your blog. Recently, I share on how to enable SIM lock on your phone to protect your data from being fall into wrong hands, or someone else using your information even when your phone is lost. If you lost your phone or misplaced, you need to use window tool find my phone to locate it. See “Find My Phone”. 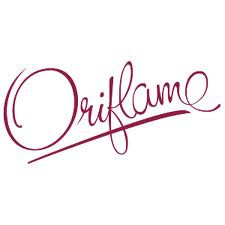 Oriflame is one of the world's fastest growing cosmetic and beauty companies who sell direct to people in whole sales. Their products are being sold in over 61countries including Nigeria, and they lead the beauty market in over half of these country. Creating a successful business is not an easy task. If you want your business to be well known, you need to start blogging because that is the very best way you will be know in whatever you’re dealing. When starting a blogging business, you need to set up your blog on a site that is already popular in search engines. 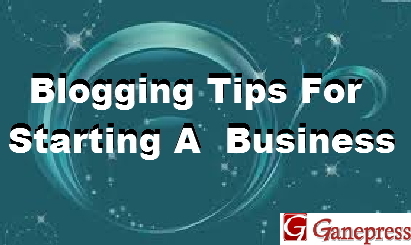 To know the variety of blog to use for business blogging See: Creating Your Own Blogging Site Can Make You Money. Content is extremely important for webmasters. No matter what kind of website you’re building, if the content is not catching the attention of the people, you are no go area. 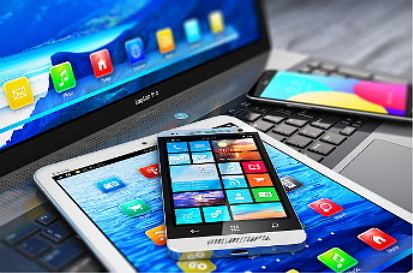 When people surf the website they are specifically looking for particular information, if they don’t see what they are looking for they will quickly leave for another. The lack of electricity power supply has been one of the major challenging in African even in basic of lighting and other appliances like phones charging, television, radio and many more. Most African countries has been discovered their potential in positioned themselves to put solution to the challenges of electricity problem in their countries.